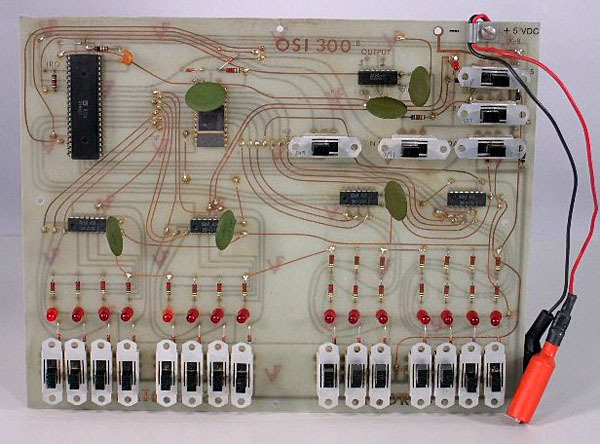 For a long time I have been looking at the photos of this, o so simple 6502 trainer, to see how it works and be able to build one myself. 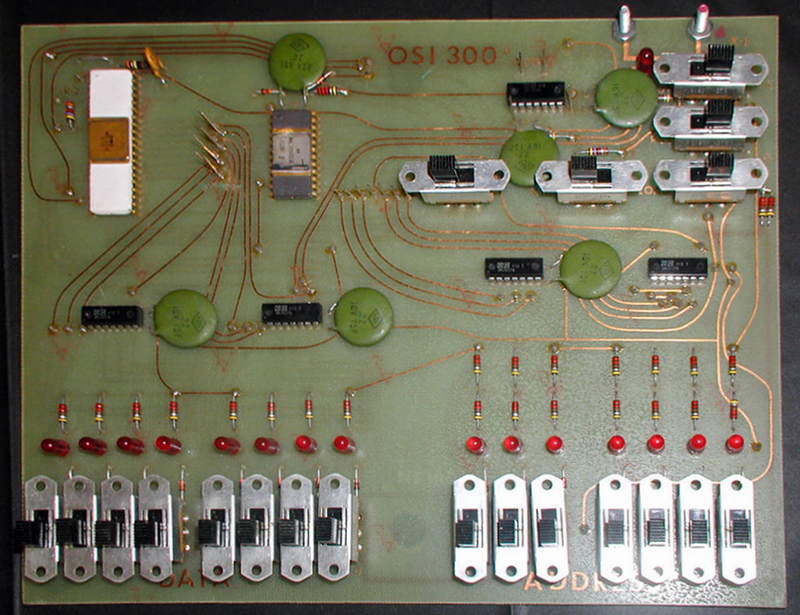 Now that the circuit diagram has become available I have added a page on the OSI 300 on what I have found out about this simple 6502 system: photo’s, manual and circuit. 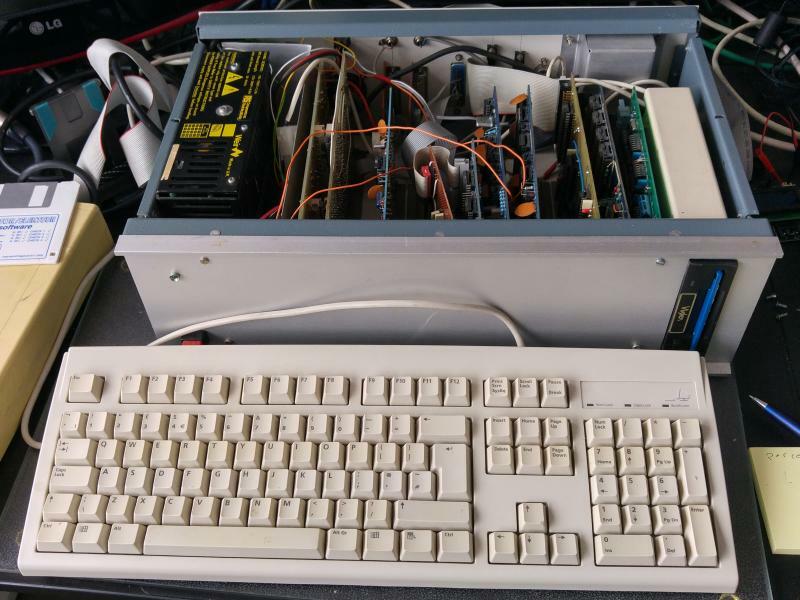 I have added a page with photos of my 6502 systems. From the KIM-1 to the A-One extended and Micro KIM to the Pocketerm. 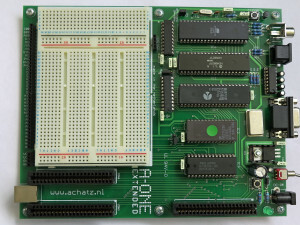 Includes Junior and Elektuur bus systems like EC65/Octopus. 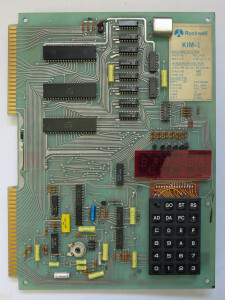 The KIM-1 has two 6530 IC’s, the 002 and 003. From some research I have found that this factory mask rommable I/O RRIOT has been produced in more versions. 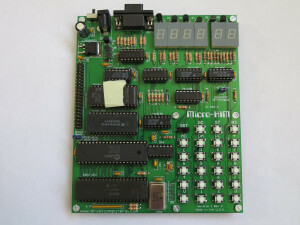 An interesting one is a relative of the KIM, the Terminal Interface Monitor 6530-004. 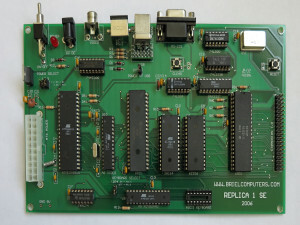 Meant for a minimal 6502 development system, it contains a teletype oriented monitor program and a serial interface via bit banging. See the TIM 6530-004 page for more information. But there were more 6530’s produced (and the list must be incomplete since lots of sequence numbers are missing. like 001. 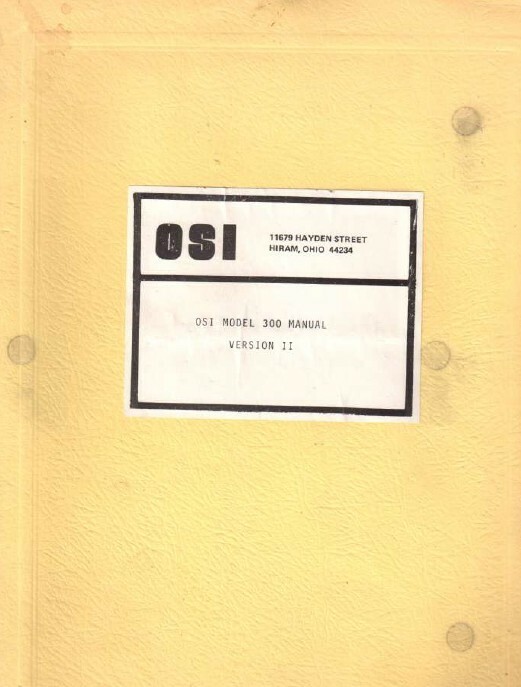 6530-005 According this OSI appnote this is an unprogrammed version of the 6530. I have seen ads for this part without description of what this is. The DOS65 system, designed by the KIM Gebruikers Club, based upon an Elektuur Octopus design, augmented with a better floppy controller is now documented on the DOS65 page.